Hunter Kills Endangered Rhino. Twitter Responds In Best Way Possible. Killing an innocent and endangered animal doesn't help anything. 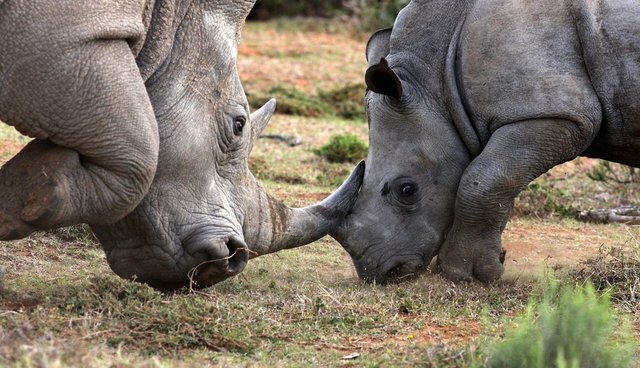 The Internet is raging today after a journalist accepted a rhino hunt invite to reportedly get an inside scoop on the "emotional" debate over rhino conservation. CNN got the story they set out to capture, sadly. A wealthy hunter from Texas went to Namibia and was led to a black rhino so he could shoot him. He did. The rhino died. Trophy hunters say that killing endangered animals raises money and awareness to eventually help the threatened animals. But those who see animals as individual beings with lives and the capacity to feel pain believe there must be another way to show support for rare beings. 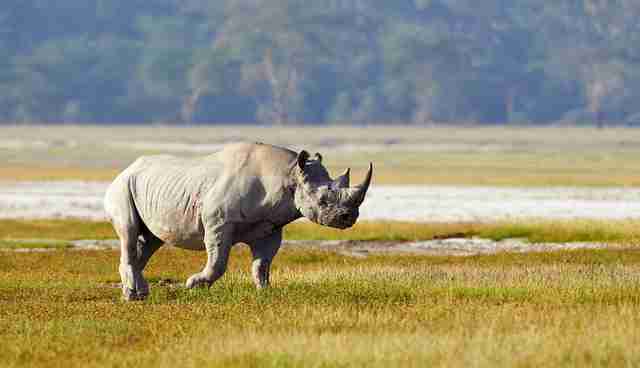 The real scoop is that there are only about 5,000 black rhinos left in the world. "Killing for conservation not only doesn't make economic, scientific or moral sense, it also doesn't make common sense. This is 2015. We don't need to kill something to save it. We are better than that," Jeffrey Flocken, the North America regional director for the International Fund for Animal Welfare (IFAW), told The Dodo. "IFAW and other conservation and animal protection groups are working with communities on the ground around the world to save animals. And we are doing it without needlessly slaughtering what we are trying to conserve." Animal lovers took to Twitter to mourn the rhino and challenge the idea that hunting helps conservation. One tweeter asked the journalist, "Ed, I have to ask why did you go on this so called conservation hunt when this is such an emotive issue?" Another frankly stated that "the problem is not the animals it's the humans." Tweeters don't buy the idea that hunting a rhino helps illuminate the issue. @edlavaCNN @CNN why are you giving this guy the time of day, CNN? @edlavaCNN @OutFrontCNN Ed, I have to ask why did you go on this so called conservation hunt when this is such an emotive issue? Some called for more coverage about organizations working to save the rhino. Others speculated about ... er ... ulterior motives. "I felt like from day one it was something benefiting the black rhino," Knowlton reflected just moments after the hunt ended. "Being on this hunt, with the amount of criticism it brought and the amount of praise it brought from both sides, I don't think it could have brought more awareness to the black rhino." This doesn't seem much of a reflection at all, since the hunter did what he came to do and still believes it's helping endangered animals, even with one black rhino's blood on his hands. The argument from the trophy hunters is premised on the idea that the animals are a singular group of endangered things, not individual animals with individual histories and lives. The individual rhino who was killed by the wealthy trophy hunter, who paid $350,000 for the right to take the rhino's life, has permanently vanished from the world. "I am deeply saddened, disappointed and incredulous that he sees this mission as contributing to the survival of endangered black rhinos," Flocken told The Dodo in a statement. "If you pay to take a human life and give to humanitarian causes, it does not make you a humanitarian. 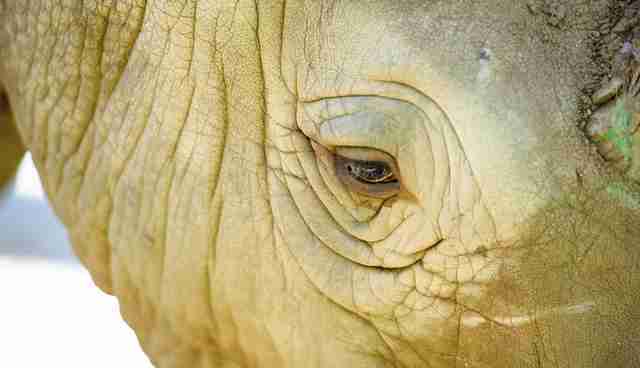 And paying money to kill one of the last iconic animals on earth does not make you a conservationist."